Spring! It’s really so close, you know! This weekend was the first time it’s truly felt like spring so far this year; it was clear and sunny and the temperatures were rising to levels comfy enough to be outside without a jacket. Now, I know that March is no guarantee of spring, but that kind of weather truly gives me hope that it will be here soon! 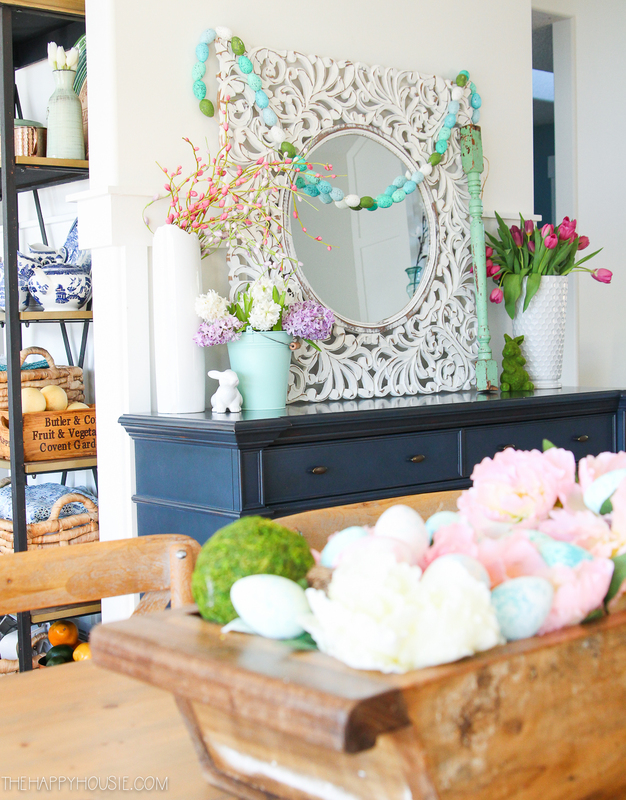 Last week I shared all kinds of our spring decor with you; our spring living room, porch, mantel, and kitchen. 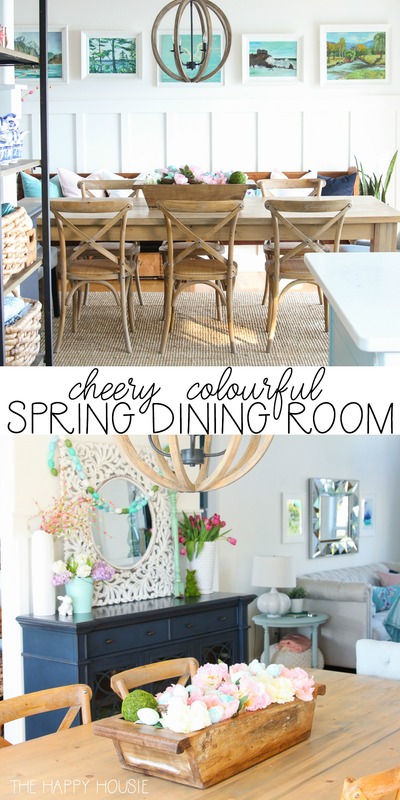 And today I wanted to give you a little peak at our colourful spring dining room! My friend Carrie, from Lovely etc., invited me to be part of a Colour lovers spring tour series and I figured it fit. I mean, I’m definitely a colour lover! 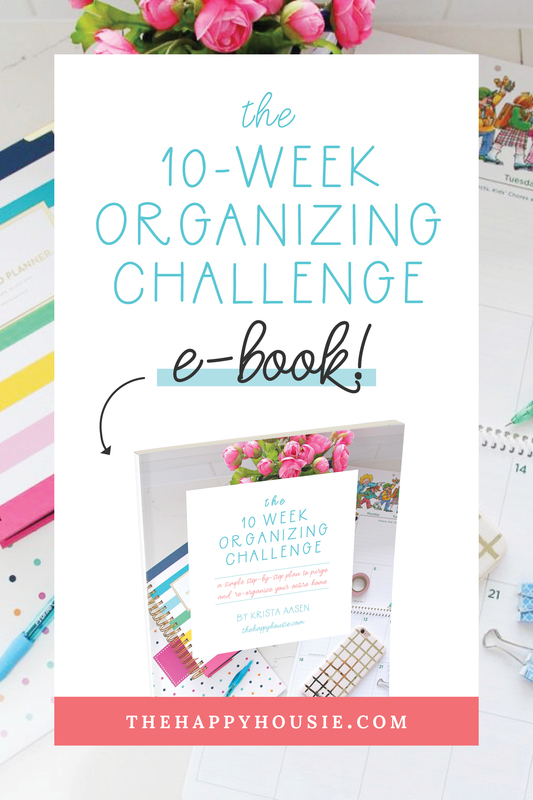 If you’re new to my blog, then welcome! 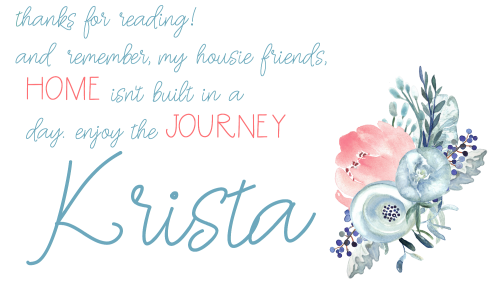 My name is Krista and you can read more about me and The Happy Housie here. I mean, as much as I appreciate and love all the neutral filled homes of my fellow bloggers, I have to admit that colour has my heart. It could never go any other way. And that’s okay, right?! 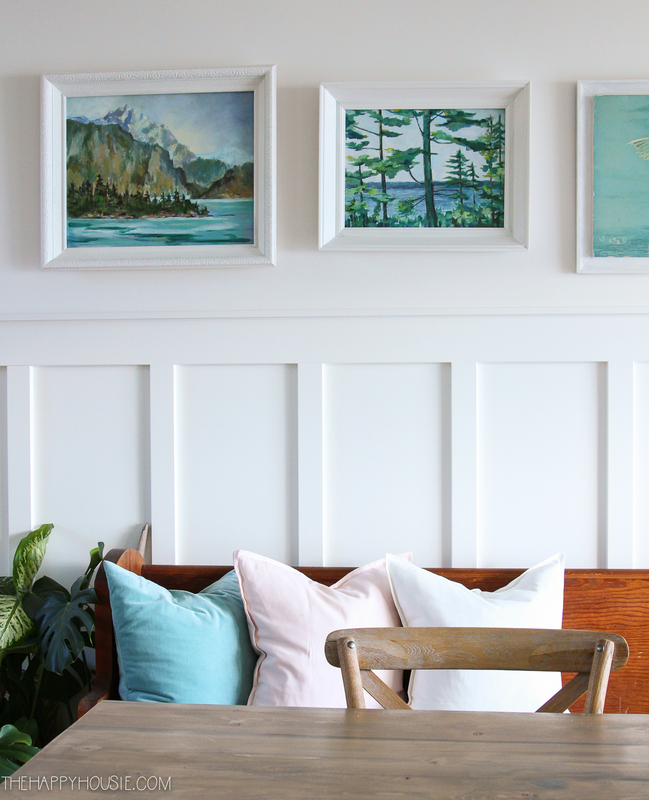 We all have to be true to ourselves and to what makes our own decorating-heart skip a beat. And for me, it’s definitely some fresh pops of colour! 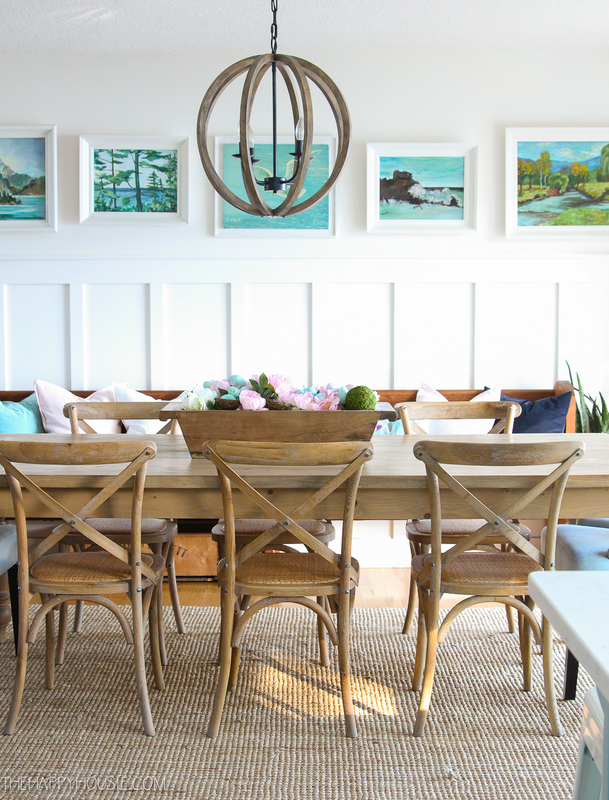 Last week I shared my favourite new feature in our dining room; this navy hutch that we found (at Costco!!) over the Christmas break. 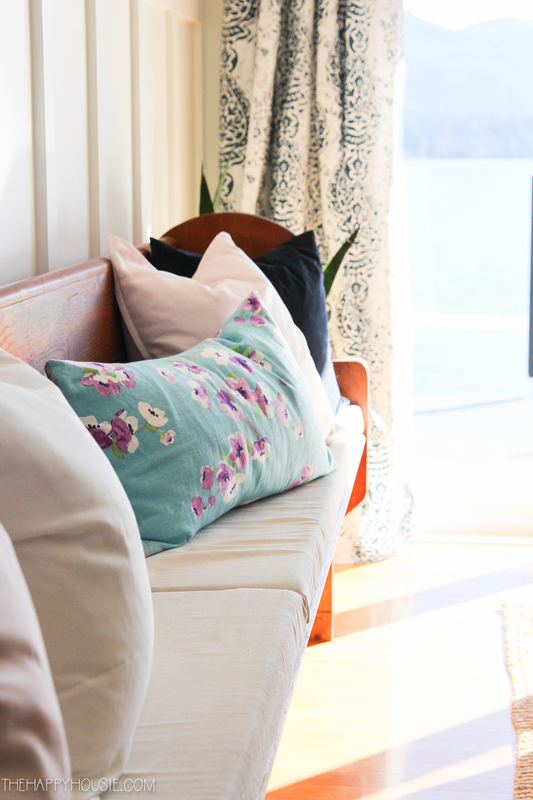 It’s the perfect spot for a springy and colourful vignette! 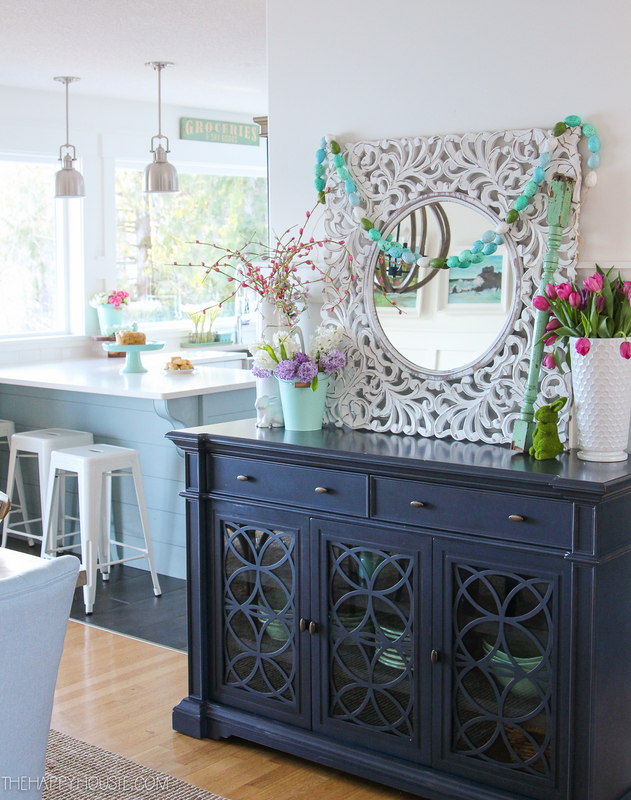 Other than the hutch, things haven’t changed too much in our dining room for spring. 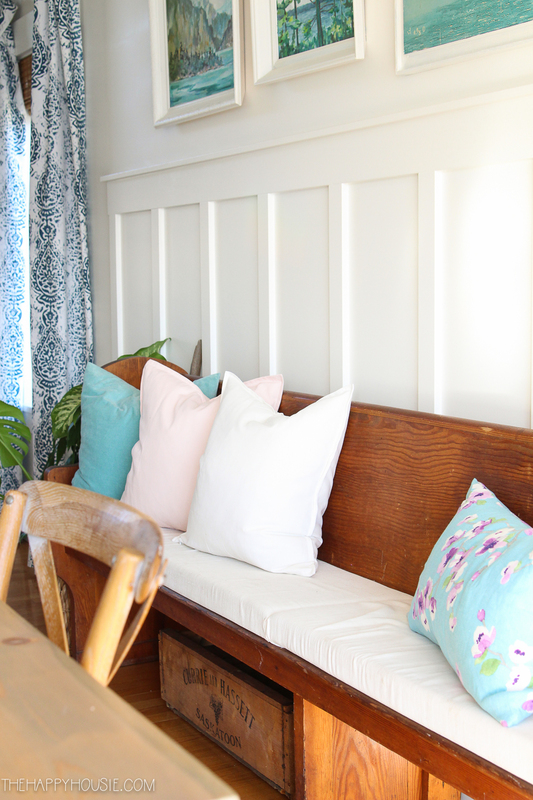 I’ve kept up the DIY drapery panels that were part of our Christmas decor, and I’m loving the blue pattern. 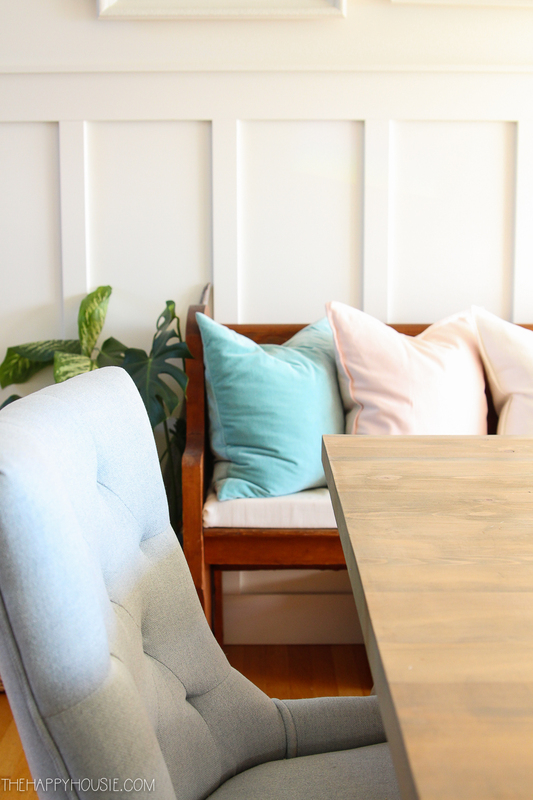 I also am still thrilled with our new end chairs that I shared about here. 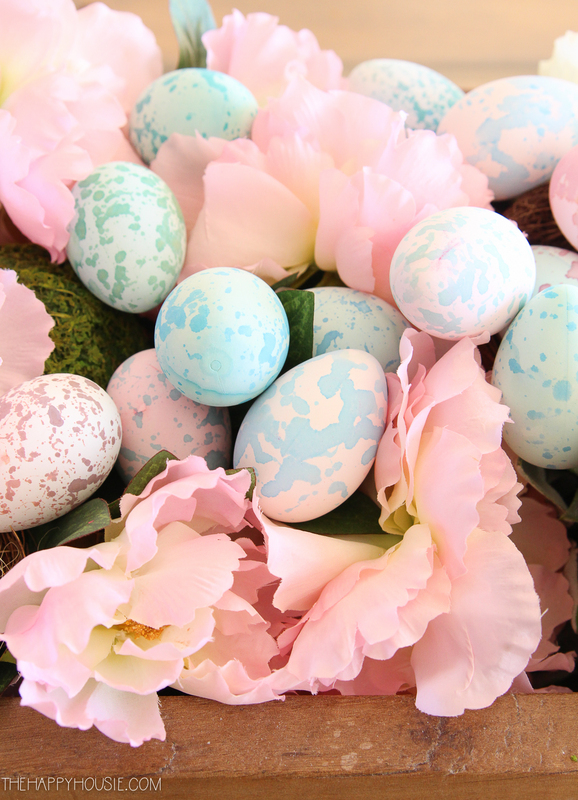 I shared how I DIYed these colourful speckled Easter eggs here. And if you are looking for fab DIY Easter Egg ideas then I’ve gathered a ton of them together for you here! 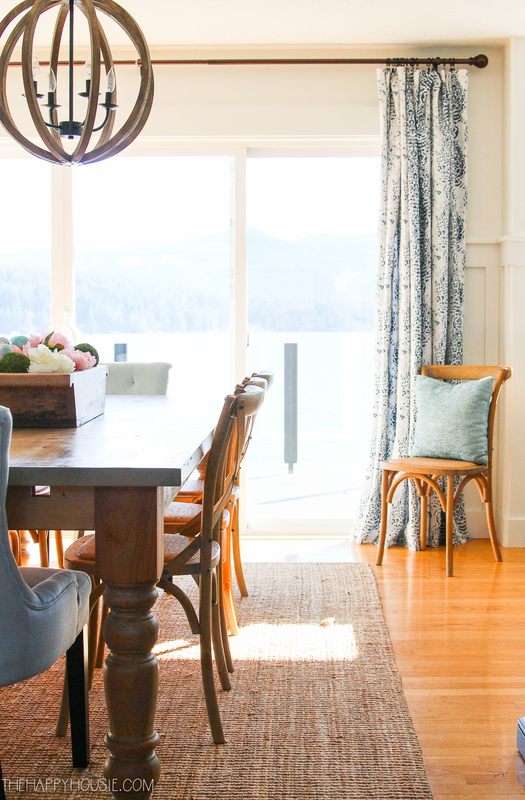 One of the best things about our colourful dining room is that it opens on to our kitchen and it is an open concept space between our kitchen and living room. 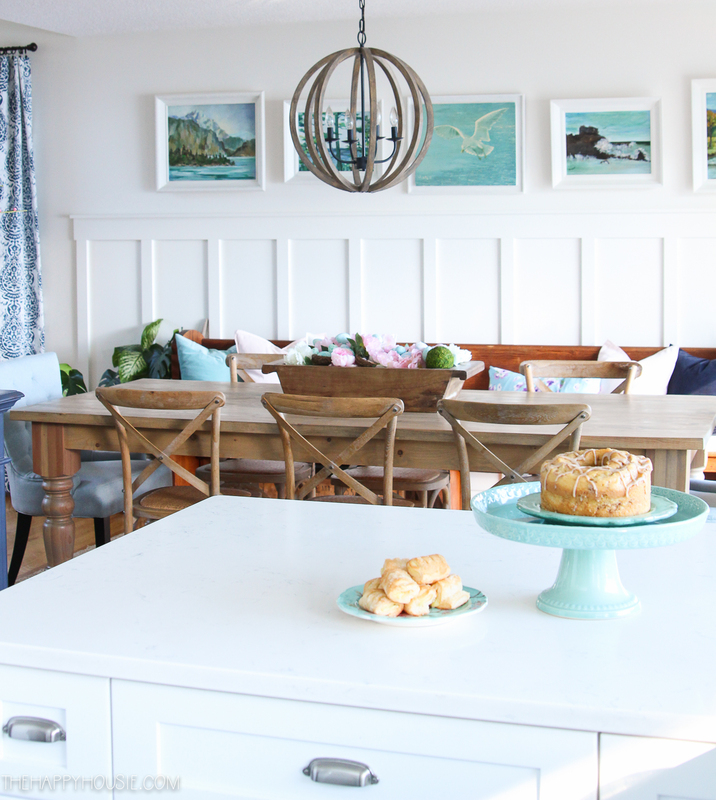 You can check out our colourful and springy living room and springy kitchen here! Your home is gorgeous, as always! And I think your home was made to show off all the spring colors. I love how you mixed in so many lovely spring elements. 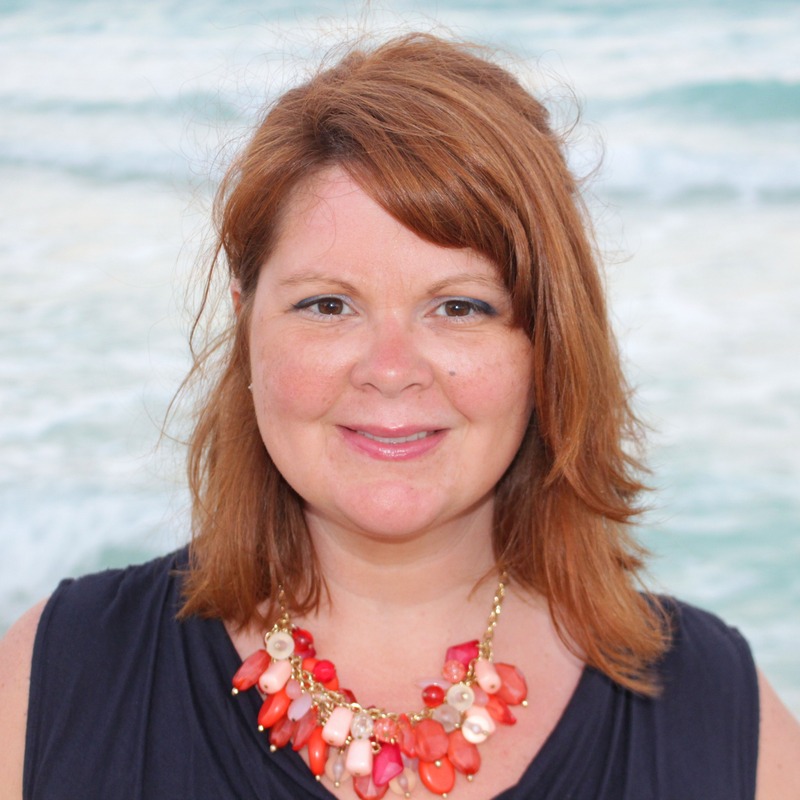 So much beautiful color, Krista! And the windows in your kitchen are so gorgeous. Happy Spring! 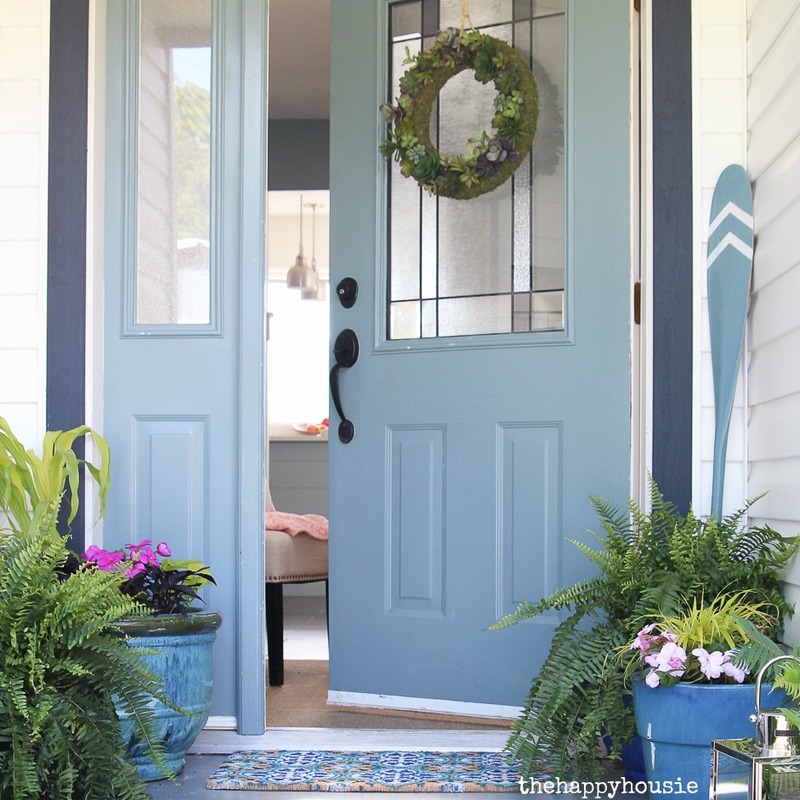 I’m pretty much a neutral girl and then I see a house decorated like yours and I fall in love with color again! Those blues are all so gorgeous! Thanks for the inspiration! 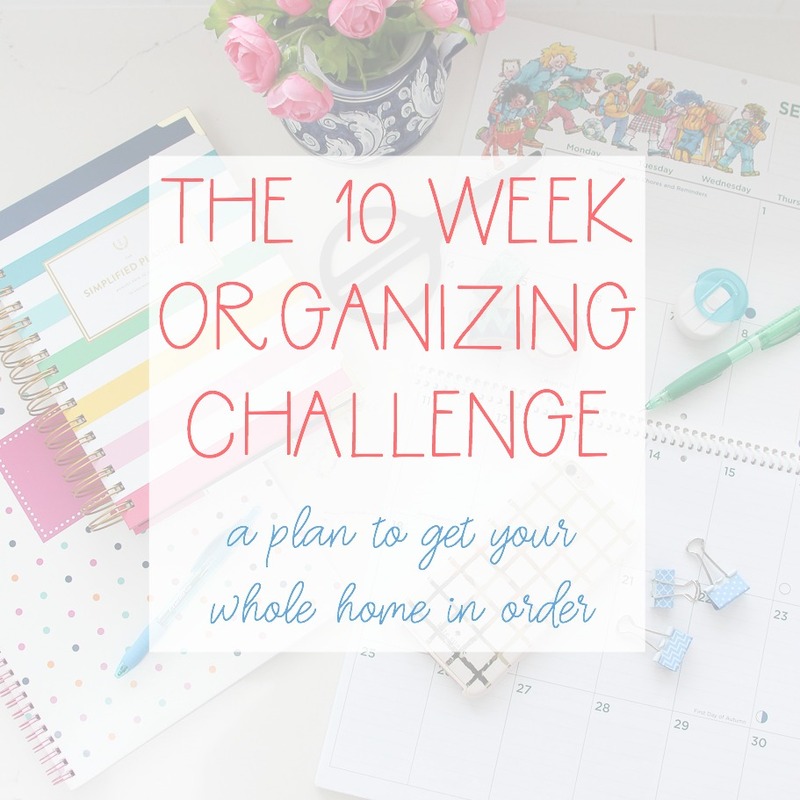 Always love checking out your colorful, cheerful home tour posts! 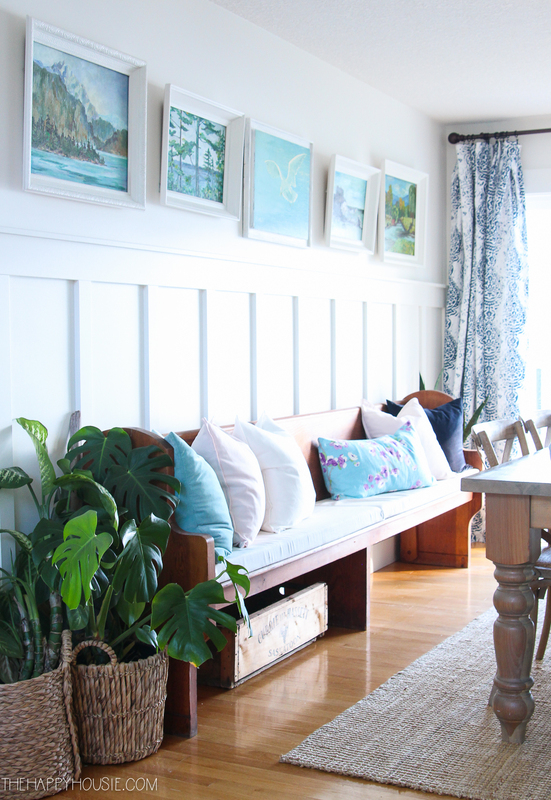 That line of vintage paintings above the board and batten is so fabulous! 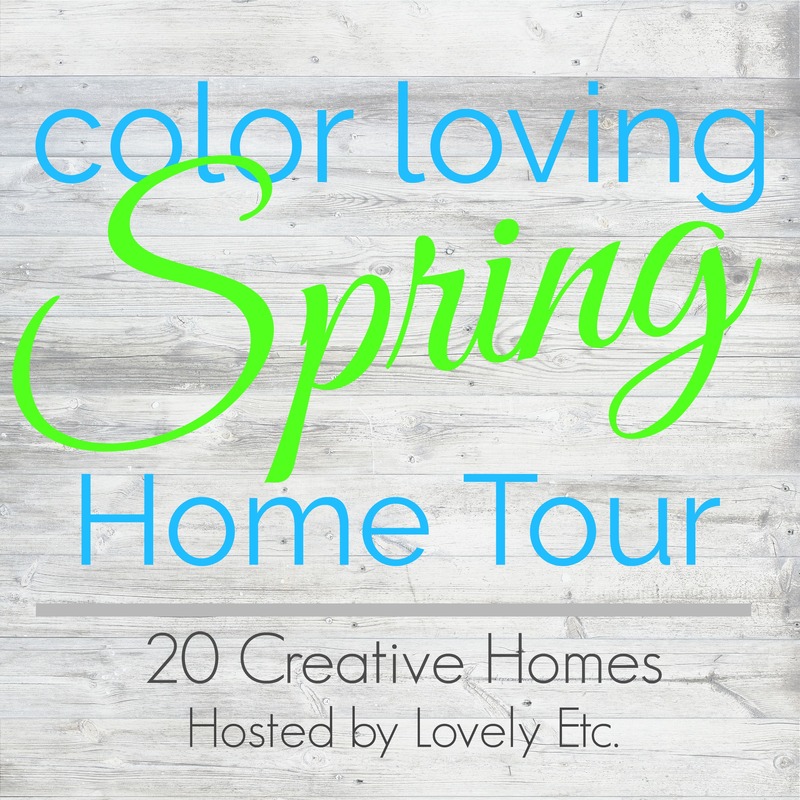 Love this tour- your home is just so beautiful! 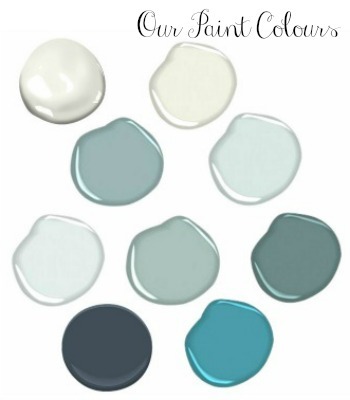 I’m with you- I just can’t do neutral decorating- using color is just so much fun! Such a gorgeous space Krista! 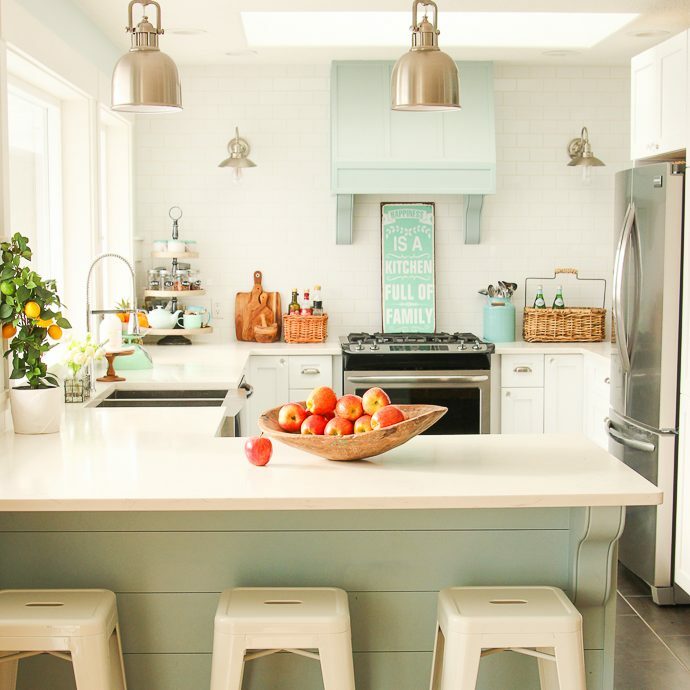 Love all of your spring touches with the turquoise and pinks. 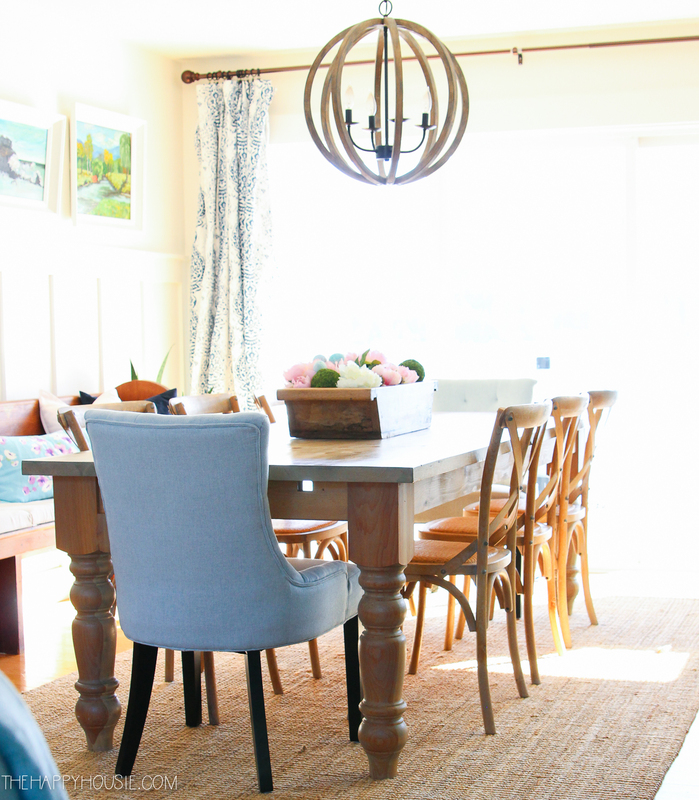 your dining room is so pretty – love that light fixture! 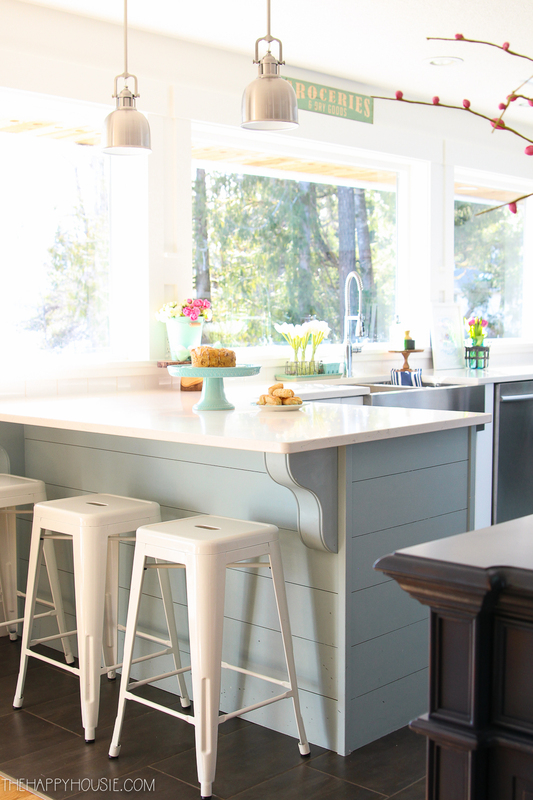 And all of the aqua and pink touches are just perfect for spring! 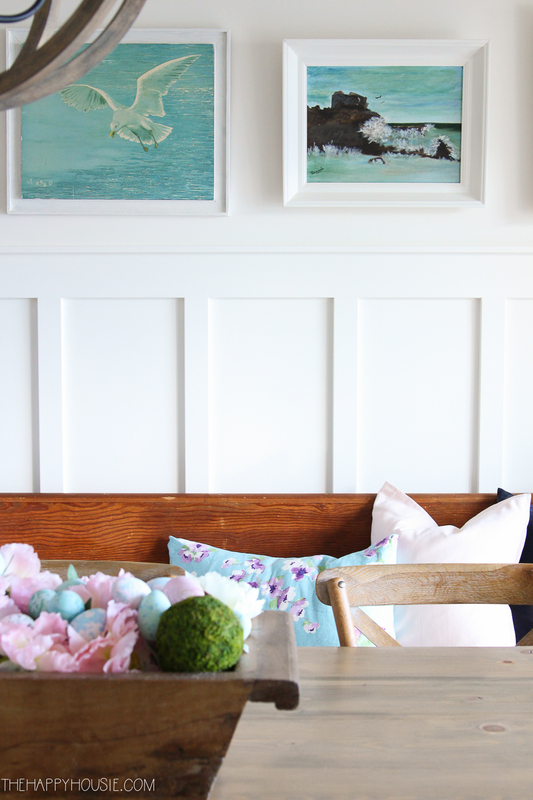 love all of your aquas and pinks- such a pretty space that was meant for spring!